First, check out this awesome video by Siha. Some great teaser footage regarding the Hodir encounter. You can see me around the 22 second mark. I’m running away to the bottom right corner of the screen. Great choice of music, to boot! 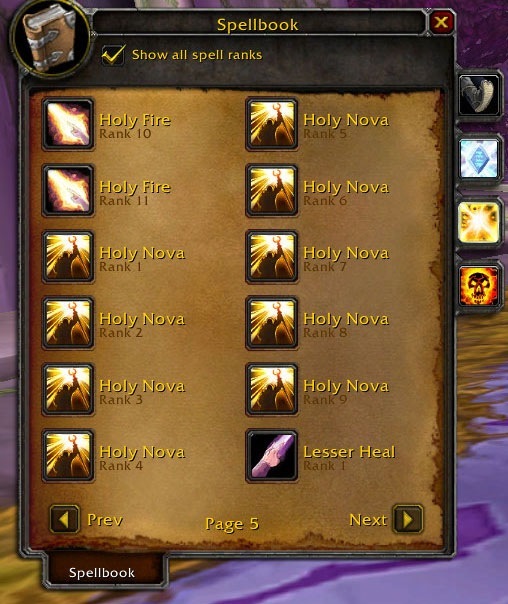 To all the players who said Blizzard didn’t know how to create challenging content. 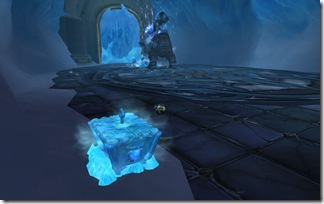 At around 3 PM Pacific, it was announced that Hodir would soon be available for testing. In fact, he would be open at 4 PM. That left me an hour to scramble the players necessary to give it a shot. I knew there was no way I’d be able to field a full 25 man raid group. Conquest managed to bring in 6 players to jump in. I posted on Twitter looking for volunteers. No avail. I checked my GMail for online contacts. Apathy was free. Quick glance on AIM? Siha was free. After 90 minutes of struggling with UIs, server crashes and the like, we were one of the first groups that were able to zone in. The entire zone is quite breath taking. Check out some of the shots I sent into WoW Insider. After my making my way through most of the instance where we pass through the exterior lightning charged towers (where the Flame Leviathan is, no doubt) we enter a door that takes us into another part of the area. It looks like we hit the inner sanctum. The main chamber branches off into a multitude of rooms which takes your party to different bosses. Naxxramas has four wings. Ulduar has many different wings. I was’t able to get a count. But I think there were at least 5 or so hallways that led out. We managed to find Hodir with little difficulty in a circular cavern. And we were joined by Daelo! Poor guy! 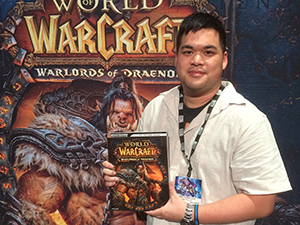 He’s the lead encounter designer for Blizzard. General chat exploded the moment he announced his presence. People were asking him to unstuck them from various areas inside the instance. It got to the point where he had to bring in his alter ego (Daelotwo) to help with the unsticking process. What you’ll find is a large, oversized blue Dwarf-like individual. He’s got four NPCs encased in ice in front of him. Looks like they are integral to the encounter somehow. 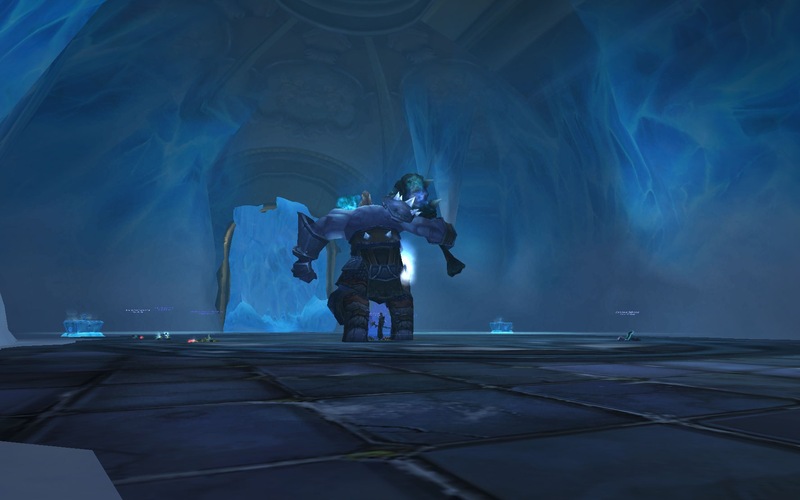 Our Death Knight tank starts the dancing process of kiting him around. We kind of deduced there was a Keristraza like ability where players had to keep moving. Siha and I were the only healers. We danced around. She covered the main tank (our Death Knight) while I tried to handle the rest of the raid. For the past several years, we have all been conditions to aim the camera toward the floor. Illidari Council especially taught us to get out of fires. Blizzard has thrown us a curveball. This time, the raid need only look up. If you see snow, look out below as a chunk of ice is going to fall from the sky! We barely lasted 2 minutes. But oh my was it such a blast! I have to say something on a side note. It’s an exhilarating feeling to come to a new boss for the first time with zero idea of the boss does. It’s interesting in the fact that as players one of the first things we have to do is figure out what abilities and attacks the boss uses. Once we iron that out, we isolate what we can do or what the environment around us can do to help counteract boss abilities. I’ve never really been at the forefront of progression before. Literally. 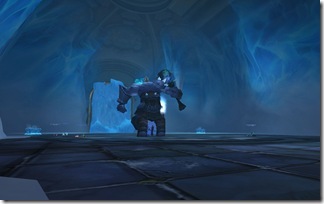 Bosses in the past have been done with explanations from other players or strategy guides or videos. For the first time, everyone is more or less on an even keel because no one knows what the heck is going on. There’s a huge rush after the fact where everyone chimes in trying to deduce what just killed them. Then theres a myriad of suggestions on how to go about preventing or adjusting for it. We don’t actually know what works. I mean testing raid content is like a big giant algeba problem: It’s literally guess and check. As far as healing goes, we didn’t last long enough to get a good handle on healing. This instance feels like Zul’Aman: Reloaded (in terms of relative difficulty from Karazhan up). 4 frozen NPCs in the middle of the room. Of the 4, you can break up to 2 on Normal and all 4 on Heroic. They assist the raid and hand out buffs. 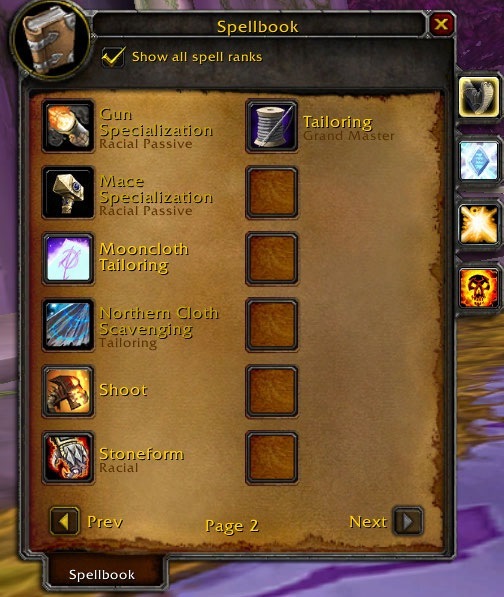 Breaking out the Moonkin offers a haste buff to the raid (Unsure if its spell haste, haste, or both types of haste). You currently have to stand on the circle of light in order to use it. On Normal, Hodir has 10 million health. On Heroic, around 30 million. His attacks are melee and frost based. Frost novas are dispelable. I believe they are cleansable as well. Hooray for magic effects. 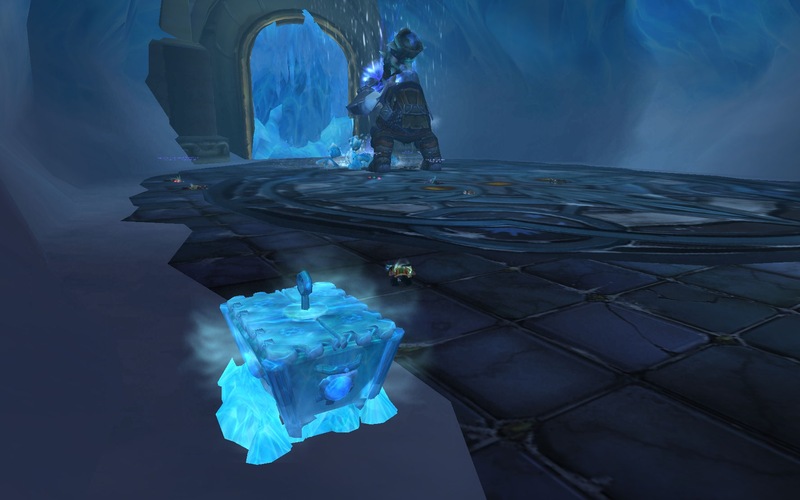 This encounter is inspired by Keristraza in the sense that players have to move around to reset the damaging frost aura. It starts off at 200 initially and then continues to double to 400, then 800, then 1600 and so forth. After the initial 45 seconds, Hodir does an ability called Flash Freeze. It’s a 9 second cast capable of nuking everyone in the room regardless of line of sight. It is possible to fully resist it. If it connects, you get encased in a chunk of ice for 5 minutes. The only other way out is to get busted out by DPS. Don’t forget that when you’re frozen, the aura is still on you. Frozen Blows: Physical damage reduced by 70% but attacks deal 17750 additional Frost damage. IÃ¢â‚¬â„¢d like to extend a hearty thanks to the brave players who were willing to wipe with me. Siha – Being online at the right time. Probably would not have gone in without her healing presence. I plan on leading another team back in there tomorrow (Friday) at around 3 PM PST. We’re setup on Broxigar. Iron Council is scheduled for 4 PM PST. 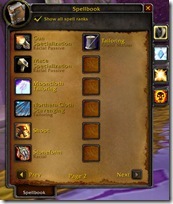 If you’re interested, I’ll on the PTR around then to get my present guild organized. I’ll most likely need an extra set of hands. You’ll recognize me on my character (Matticus). If you’re interested, follow me on Twitter. Or else bookmark my Posterous (or subscribe). I’ll be updating my Posterous more often with screenshots and a live braindump of everything going on. In hindsight, I shouldn’tve formed the group the PvE server. Way too many people. 3.1 PTR and Shamans, Lodur’s Initial Thoughts. Bloodlust/Heroism: Cooldown reduced to 5 minutes, but Sated and Exhausted now last 10 minutes. 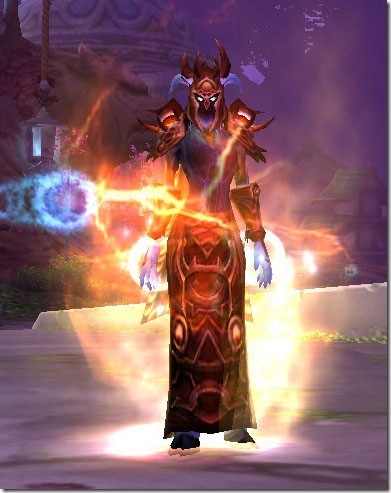 Poison Cleansing Totem and Disease Cleansing Totem have been merged into ” Cleansing Totem. ” Cleansing Totem pulses every 3 sec, down from 5. Ancestral Awakening: This talent now accounts for your ineffective healing, rather than effective. 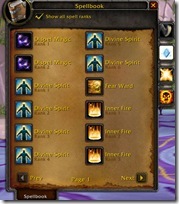 Cleanse Spirit now has a new icon. Riptide: This spell has a new icon. Tremor Totem: Now correctly pulses every 3 sec, up from 1 sec. I really like the combining of totems so far. I’ve been begging for totems to be less cumbersome for ages now, and it’s finally starting to happen! I think this is going to prove especially nice in encounters where you have poison and diseases flowing around. Just drop one totem and like our buddies at Ronco with their Showtime cooker, you can set it and forget it. Tremor totem is also being fixed. While I know some of you are going to be sad about it no longer pulsing every second on the second, let me tell you this is a good thing. First of all I don’t know if you’ve had this happen yet, but I’ve been having tremor totem completely fail me as a result of this bug. It will be down, there will be a dispellable fear, I’ll be on top of the totem and even after it “ticks” I’m still running around like a Shaman with my Totem cut off! Right now on the PTR everything is back to normal with this totem apparently. One change I’m not looking forward to is the Change to Bloodlust / Herosim. I might be missing it but it almost doesn’t make sense to me. 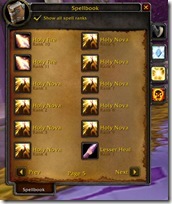 Personally I think how the spell works on live is preferable overall to the way it was changed for 3.1. Ancestral Awakening change is very interesting, and a significant buff to the talent. Ineffective healing, if my understanding of it is correct, is more then just your overheal. Ineffective healing is any healing lost from the initial cast/roll of the spell. Example would be, your tank has a healing debuff that reduces the incoming heals by 50%. When you cast your spell lets say you roll a 9,000 crit heal. The debuff takes it to 4,500 healing, making 4.5k of it ineffective. This talent change would count the whole 9,000 heal if I’m understandingÃ‚Â this correctly. This also means that if I roll a 20,000 crit heal (to borrow from my previous post =P ) That’s going to be a 6k heal on someone else in the raid. This is going to require some testing, I’ll let you know more after I’m done running this one through the ringer. On the purely cosmetic aspect I’m pretty excited about Cleanse Spirit and Riptide getting new icons. Lets be honest, the ones we have now are pretty lame. I’ll post screenies of them later on. 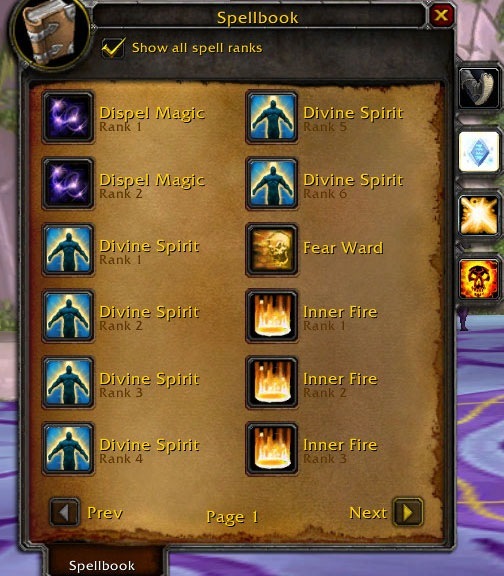 With new new patch we see some new glyphs pop up for the Shaman of many persuasions. Here’s what you have to look forward too. Glyph of Thunderstorm *new* — Reduces the cooldown on Thunderstorm by 7 sec. Glyph of Feral Spirit *new* — Your spirit wolves gain an additional 30% of your attack power. Glyph of Riptide *new* — Increases the duration of Riptide by 3 sec. Glyph of Earth Shield *new* — Increases the amount healed by your Earth Shield by 20%. Glyph of Totem of Wrath *new* — When you cast Totem of Wrath, you gain 30% of the totem’s bonus spell power for . Glyph of Hex *new* — Increases the damage your Hex target can take before the Hex effect is removed by 20%. Glyph of Stoneclaw Totem *new* — Your Stoneclaw Totem also places a damage absorb shield on you, equal to 4 times the strength of the shield it places on your totems. Nice additions, but the restoration ones are only ok. The Riptide one is pretty meh, 3 extra seconds on it are not as good as some of the other things we can glyph for (LHW, Watershield etc). The Earth shield one is really good. Too good to be true. I foresee that 20% dwindling to a much smaller number, especially considering how our talents currently affect the spell. Glyph of Hex is interesting. The spell is good for what it is, I use it quite a bit in 5 man heroic groups and I’ve found myself using it in 25 man raiding as well (Kel mind control targets make great frogs). Having my target take a bit extra damage before breaking could be quite handy.Ã‚Â I don’t know how I feel about Stoneclaw totem. Right now at max level it has 1620 health, it’s effect protects your totems by absorbing any damage done to them back to the Stoneclaw. By all appearances it would seem that the Glyph includes you in that bubble, and if it is 4 times the current amount, that’s 6480. That’s not a whole heck of a lot, and it seems that if someone was enterprising enough they would just attack your totems instead of you. This Glyph will probably not be used if it stays as is. I wanted to put some thoughts together on the post 3.1 Rapture ability and our overall mana regen. A lot of players have contacted me and wondered why I thought it was a buff and asked what it meant for their mana regeneration. Why am I so optimistic about something thatÃ¢â‚¬â„¢s going to tank our regeneration? Regen: Your ability to grain the resources you need to perform your skills. Obstacles: This is stuff that makes you use your skills and drains your resources. We have access to half the puzzle right now. We sort of know what our mana regeneration mechanics are going to be like (in theory). But we presently donÃ¢â‚¬â„¢t know is under what conditions theyÃ¢â‚¬â„¢ll be stressed. We donÃ¢â‚¬â„¢t know what our opposition is like yet. We donÃ¢â‚¬â„¢t know how combatÃ¢â‚¬â„¢s going to be in Ulduar. We donÃ¢â‚¬â„¢t know the fights, we donÃ¢â‚¬â„¢t know bosses, we really donÃ¢â‚¬â„¢t know anything. 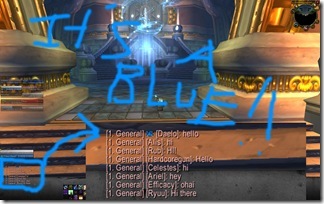 This is the public test realm. Players on there are supposed to provide honest feedback about what they feel works and what doesnÃ¢â‚¬â„¢t. IÃ¢â‚¬â„¢m not complaining about any of the changes yet because I havenÃ¢â‚¬â„¢t been able to test them in combat. I donÃ¢â‚¬â„¢t have any healing dummies, unfortunately. Rapture ( Tier 8 ) revamped. Now a 3 point talent. When your Power Word: Shield is completely absorbed or dispelled you are instantly energized with 1.5% of your total mana, and you have a 33% chance to energize your shielded target with 2% total mana, 8 rage, 16 energy or 32 runic power. This effect cannot occur once every 12 seconds. Fully talented, the 1.5% of total mana becomes 2.5% of total mana and the 33% chance becomes a 100% chance to energize. IÃ¢â‚¬â„¢m not sure if the second effect applies to Priests who cast it on themselves. I think the 12 second limitation effect is for the latter component not the PriestÃ¢â‚¬â„¢s mana energized component. So if youÃ¢â‚¬â„¢re shielding 3 tanks and they wear off one after the other, that would be 3 separate activations of the mana return. Only one of your tanks would get the benefit from the 8 rage. I just canÃ¢â‚¬â„¢t test that theory out right now. Anyway, itÃ¢â‚¬â„¢s a buff in the sense that the players we Shield will gain a return of some sort to their power. Warriors will no longer have a reason to cry and request zero shields on themselves. You are getting bubbled whether you like it or not. We are now glorified battery chargers. On the other hand, you could always click it off. They can nerf our regen if itÃ¢â‚¬â„¢s proven that we (as Priests) donÃ¢â‚¬â„¢t need it. Decently geared players donÃ¢â‚¬â„¢t have to watch their mana as much. IÃ¢â‚¬â„¢m not potting, IÃ¢â‚¬â„¢m not hitting my Hymn of Hope, IÃ¢â‚¬â„¢m not asking for Innervates and IÃ¢â‚¬â„¢m not breaking out the Shadowfiend because they arenÃ¢â‚¬â„¢t necessary right now. If our nerfs our active and weÃ¢â‚¬â„¢re hitting all of our consumables and mana regen abilities and weÃ¢â‚¬â„¢re still running out of gas? ThatÃ¢â‚¬â„¢s when it becomes a problem. Serendipity has lost its mana gaining flare. This is supposed to be counteracted by the revised Holy Concentration. The HC change itself strikes me as about even with it’s current iteration, by itself. Once you factor in the oo5sr changes that can result from that, it looks like a light nerf. The loss of serendipity’s mana restoring mechanic though, can be a pretty noticeable loss, even if you are relatively efficient. In my line of work, I kind of have to be. I have a fun job where I get to write about a game and a class I truly enjoy playing. Every buff, every nerf, every change I view as fascinating! ItÃ¢â‚¬â„¢s just another step in the evolution of the Priest. If all I did was zero in on nothing but nerfs, IÃ¢â‚¬â„¢d end up being just a shell. IÃ¢â‚¬â„¢m being optimistic because my sanity depends on it. Ever watch or read the news lately? ThereÃ¢â‚¬â„¢s always a shooting. ThereÃ¢â‚¬â„¢s always a homicide. Someone gets robbed. Someone gets sexually assaulted. Even in newspapers, you read about corruption and whatÃ¢â‚¬â„¢s wrong with our society today. Good news is lucky if it even makes it on to the side bars. Now imagine what kind of blogger I would be if I approached every change negatively. If I said our class was getting wrecked left and right. If I told you to all reroll Paladin (heaven forbid). If I told you I was quitting the game. IÃ¢â‚¬â„¢m sorry, but thatÃ¢â‚¬â„¢s not who I am. My glass is not half empty. ItÃ¢â‚¬â„¢s going to be completely full. In the sense of the Priest, some parts of us are getting hit with nerfs. Other parts are getting buffs. WeÃ¢â‚¬â„¢re getting non stop changes. A majority of us have yet to try out the changes in the situations where it matters: On the field. And once I do, youÃ¢â‚¬â„¢ll get an honest, zero BS assessment. I wonÃ¢â‚¬â„¢t bore you with numbers. It will be a straight up yes-or-no answer to the important question weÃ¢â‚¬â„¢re all dying to know: Are we running out of mana in combat? Besides, we’re apparently missing a few talents in the Disc tree. Rez the Weak – RIP: Rapture – Lots of numbers and maths.